Linn Records is thrilled to introduce soprano Rowan Pierce in what promises to be a sensational debut recording. 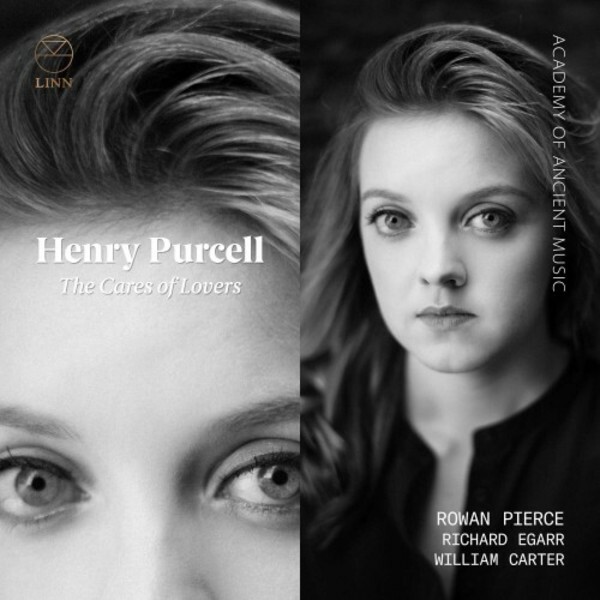 The Cares of Lovers comprises songs from across Purcell�s brief career from She loves and she confesses too, one of his very first published pieces (1683), to Sweeter than roses from his final months (1695). Although they all display the same matchless ingenuity and uncanny ability to set English words to music, a highlight includes Tell me, some pitying angel - a triumph of dramatic composition and the equal of any Italian cantata of the period. Since winning the President�s Award at the Royal College of Music in 2017, Pierce has won acclaim for her performances at The Barbican, Royal Festival Hall and at the BBC Proms. Her performance in Purcell�s The Fairy Queen, with the Academy of Ancient Music, won praise for her �expressive� (Financial Times) and �heart-piercing� (The Independent) singing. Richard Egarr and William Carter, two baroque music heavyweights, join Pierce for this recording, made in Haarlem, Netherlands. Yorkshire-born soprano Rowan Pierce was awarded the President�s Award by HRH Prince of Wales at the Royal College of Music in 2017. She won both the Song Prize and First Prize at the inaugural Grange Festival International Singing Competition, the Van Someren Godfrey Prize at the RCM and the first Schubert Society Singer Prize in 2014. She has recently been made a Rising Star of the Orchestra of the Age of Enlightenment and is a Harewood artist at English National Opera. Richard Egarr is an accomplished conductor, notably of the AAM, and brilliant harpsichordist, equally skilled on the organ and fortepiano. A founding-member of the world-famous Palladian Ensemble, William Carter has a deserved reputation as one of the finest baroque guitarists with many critically acclaimed performances.